After a record-shattering weekend at the box office, if you haven't felt the force of Star Wars, you must be living in another galaxy. 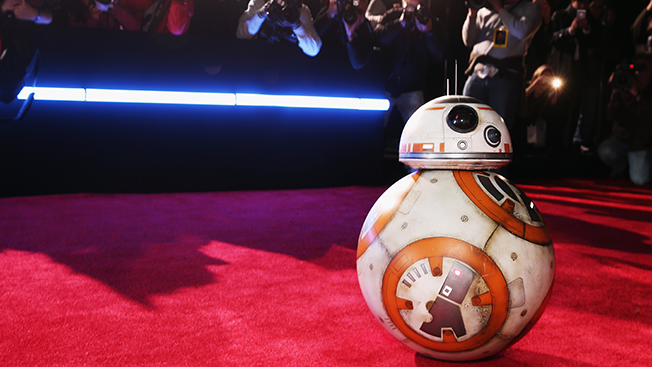 Star Wars: The Force Awakens hit $238 million solely in North American ticket sales. And I confess, I am one of the diehard fans who had tickets in advance of Dec. 17—and went to see it again on Saturday night. The fan in me is enthralled by the movie, of course, but the marketer in me is greatly impressed with the effort that Disney put into this for the fans in the form of content marketing ahead of the launch. The marketing push was so big that it was virtually impossible not to realize a new Star Wars movie was on the way. The team at Disney has masterminded this campaign from the moment they announced the film, and have obviously been at work since they announced a deal to acquire Lucasfilm in 2012. With video, they were relentless, both online and on television. It started with the 88 seconds of footage they first teased more than a year ago (a year ago! ), then the longer second teaser that dropped in April, then the official trailer that debuted in October and the countless TV spots. It seemed like every few days there was a new version released with just a few seconds of exclusive never-before-seen footage. With each version, the anticipation and excitement only grew, and of course it left you wanting more, hoping for the next few seconds in a few days. The cast made the rounds on the talk show circuit and timed it all perfectly. Even the normally reluctant Harrison Ford was cooperative, and playfully so. In print, they fed the machine first with original content by way of new novels and comic series—which told the story of what has supposedly happened in the 30 years between Return of the Jedi and The Force Awakens. Many of the comics focused on single characters, with exclusive series dedicated to Vader, Princess Leia, Chewbacca and Lando. On top of that, Disney has controlled and timed the releases of exclusive interviews and photos with publications like Vanity Fair, Entertainment Weekly, Rolling Stone, Fortune, Empire and Time. Each new set of photos has given us something new to talk about. Han Solo and Chewie sitting in the Millenium Falcon again (shot by Annie Leibovitz not less). Adam Driver as Kylo Ren. Rey. Finn. Captain Phasma. The lack of images for the characters played by Lupita Nyong'o and Andy Serkis (just as awesome) kept some things a mystery. The force was strong in the digital and mobile space, where the content plan ran at a different speed. It was much faster, much more conversational and fluid. With starwars.com as the hub and social platforms —yes, Facebook, Twitter and Instagram, but also a super cool Tumblr blog and even a well-managed presence on Google+—as the spokes, there were new pieces to the story revealed multiple times a day. We shouldn't forget that brands have to earn their way into users' social feeds. Star Wars earned its way into those feeds and the right to stay by publishing and sharing great content. A new app was launched, games arrived, all feeding elements of the overall story Disney was telling. They even used events like Comic-Con and Star Wars Celebration to further feed the frenzy. Disney streamed live on YouTube, revealing cast members and characters, teasing future films, and essentially bringing fans into the experience as if they were family. They launched toys before the movie release and before the critical holiday shopping season, making that an event in and of itself by labeling it "Force Friday," and bringing key partners like Amazon, Target and Toys "R" Us into the mix, then mistakenly (perhaps?) revealing minor plot details on some of the toy packaging. The brand partnerships were big and bold and really pinned their only hopes for holiday marketing campaigns on Star Wars. Covergirl, Duracell, General Mills, HP, Subway and Verizon launched major efforts and timed those launches in a way that engaged consumers and fans with products and ads that provided as much unique new content as some of the official work coming directly from Disney. The content was atomized incredibly well. Disney remained true to the brand through all of this, threading storylines that built upon each other and easily created even more content. But what's most interesting here is that it seems that Disney subscribed to the "two-speed marketing" theory. Of course there was an ad campaign to promote the movie. That is a well orchestrated time-bound effort. But the real difference here has been what they accomplished with continuous, more organic effort online and on social platforms in particular. That ran at a much higher speed, and the two speeds worked in perfect concert to amplify the entire effort, and that's really what Disney did right. Perhaps the most amazing part is that they managed this without really revealing the main storyline of the movie. In fact, they created a mystery around the plot that may or may not even be the biggest twist in the film—where is Luke Skywalker? Well, now I know. So clearly I am a fan—of the movie and the marketing. That marketer in me isn't going to share spoilers, but I do hope that we collectively, as marketers, are taking notes, because this is a fantastic case study in modern marketing. Oh, and if anyone has a Sphero BB-8 toy you can spare, please DM me on Twitter. 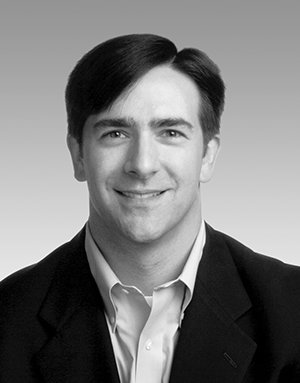 Joe Saracino (@jsaracino) is chief client officer and president at Erwin Penland.